These five useful tips can help companies achieve digital transformation and get more value out of their digital assets. In some of our previous blogs, we discussed the challenges organizations are facing today when trying to draw customers into digital channels – and keep them there once they’re in. In this segment, we offer five useful tips that can help organizations to significantly improve digital transformation rates across all their communication channels. Make your digital channels active. Websites and apps put the initiative in the hands of the customer. Taking a more proactive approach, for instance by using pop-ups and chat BOTs to engage visitors and offer context-relevant service assistance. Automate the “Contact Us” page. Communication today is much more than just phone and email. To draw customers into digital, service professionals should consider automating the “Contact Us” section on the company website and offer additional means of communication including chats (human, BOT, video…), service-selection menus and more. Create a “post-channel” experience. When the customer service experience is siloed (as it typically is), users quickly learn that interactions must take place, end-to-end, over a specific channel. But it’s time to think beyond that. Users want service – period! They don’t want to be limited to a “channel” – so your service needs to run smoothly regardless “where” it was started and “where” it ends. Read more about how this is done. Use customer service calls to launch digital self-service. Most customer service calls today are handled via Interactive Voice Response (IVR) systems. IVR has some self-service capabilities, but it doesn’t come close to the capabilities of digital tools. Visual IVR (V-IVR) which display a visual interface that extends from the traditional IVR menu, is a great way to offer an interactive digital journey with multiple self-service options. Keep things simple. Complex menus, with multiple options and sub-options, or the use of complicated professional jargon, is an immediate turn-off and a sure way to drive customers to hit the “call now” button. Experience shows that the best way to keep customers in digital channels is to present them with simple, easy-to-understand options. 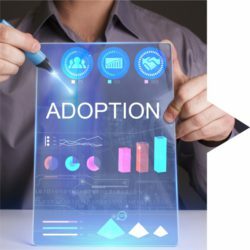 Read more about how to improve digital adoption. By following these five tips, companies and organizations will be able to initiate a digital transformation by enticing customers that have previously resisted using the DIY digital channels they’re offered. These strategies not only assist in maintaining contact center cost-effectiveness, they also empower customers to have more control over their customer service experience.